One in every four visitors to an online mobile shop arrives there as a result of clicking on a Google advert. Yet, a whopping 83% of those people who have clicked on the advert disappear from the resulting page, mostly without venturing any further into the shop. In other words, the vast majority of advertisers are paying for people to visit their site for a second or two and then disappear. 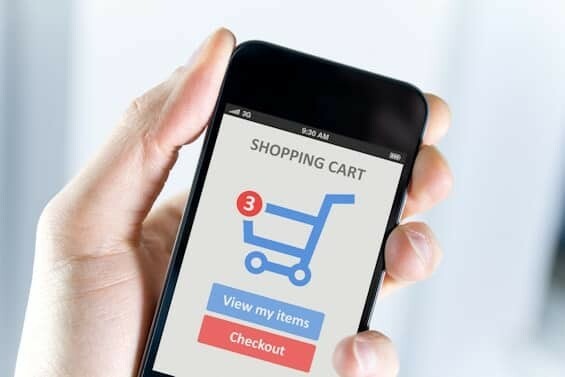 A study of more than 60m shopping sessions found that even though people are relatively happy to click on a mobile advert, they are distinctly unhappy with what they see as a result. In other words, advertisers are just throwing money away almost every time someone clicks on one of their adverts. This isn’t new, of course. Previous studies have found that three-quarters of people who click on an advert never buy anything. Other research has shown that 94% of people simply ignore online advertising. The latest study of the impact of mobile advertising shows, once again, that advertisers are failing to achieve anything significant because they are not providing what their markets actually want. There is a hint in the study which shows that desktop users tend to stay longer on sites having clicked an advert and buy more. What this suggests is that advertisers have been better at engaging people on desktops than on mobiles. Could it be that the adverts on mobiles are leading people to sites that are built for desktops and not for mobiles? Many websites are “responsive” in that they adapt their design to the size of the screen being used. But that is only half the battle. People use mobiles differently to the way they use desktops. In other words, it is not just mobile design that needs to be different, but mobile functionality. Delivering a responsive version of the desktop site is not going to help people who want to use their mobiles in a different way. What this really means is that if advertisers want to improve their return from mobile advertising, then they need to produce mobile-specific websites that function the way mobile users want. However, the chances of that happening are slim if research on marketing measurement is anything to go by. This study of 2,000 marketers found that measurement of supposed success of advertising is somewhat basic, such as the number of impressions, or click through rate. Bounce rates – the people who click on an advert and then disappear – are pretty low down the list of measurement tools. Equally, attribution modelling is hardly used in comparison with the rather weak measures of things like “reach”. Attribution modelling looks at the whole story of how someone gets to buy a product or service. The model looks at the way in which people go from one marketing point to another and eventually to purchase. If advertisers were to use attribution modelling in the mobile sector they would more easily realise what is going on and what they can do about the high level of lack of engagement. These two studies taken together reveal one thing. Advertisers and marketers are finding it tough to provide what people really want – but largely that’s because those marketers are measuring the wrong things. Really informative to me for its importance with a effective process. Such useful post always admirable from all and i felt glad after seeing your excellent post . Keep up it .